A scenario on Query Tuning–Included Columns are a good thing! « The SQL Dude! 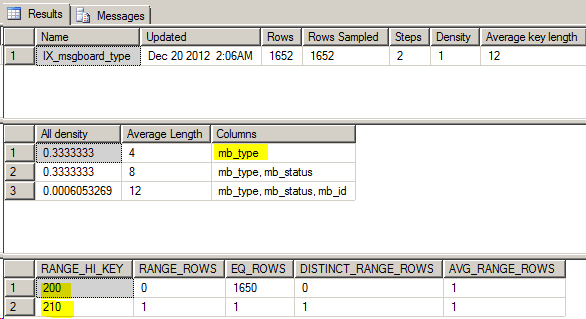 This entry was posted on December 20, 2012 at 2:59 AM	and is filed under Performance, Query Optimization. Tagged: covering index, forceseek, hint, included columns, optimizer, performance tuning, query tuning, scan vs seek, slow query, SQL Server, thesqldude. You can follow any responses to this entry through the RSS 2.0 feed. You can leave a response, or trackback from your own site. Nice explanation, but halfway through the font changes and the lines are trimmed after that. Can you fix that. Thanks Sudarshan for excellent article. 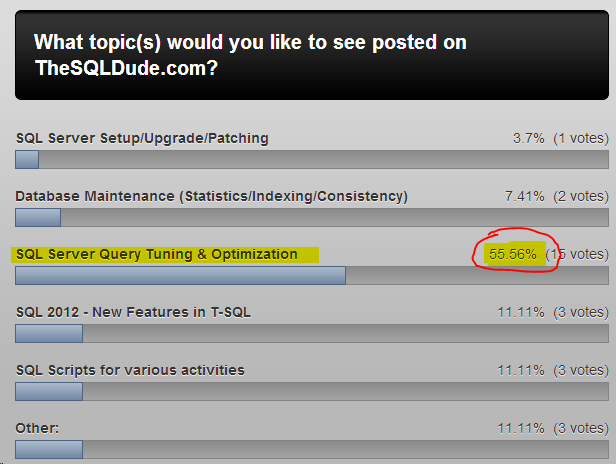 I’m a big fan of your blog.Looking forward for more articles on query tuning and performance. You’re welcome Pradeep. Will be posting on performance and powershell in the coming weeks. good explanation Sudarshan, with hands on examples.